Don Fritsch is an associate broker with Northwood Realty Services and works in residential real estate sales primarily in the North Pittsburgh areas, including South Butler County. Don’s credentials include the Certified Residential Specialist and the Seniors Real Estate Specialist certifications. Don holds a bachelor of arts degree and a master of arts degree. In addition to real estate sales, his professional background includes residential architectural design and engineering, teaching and operating a small business. He has also been personally involved in real estate investment projects. 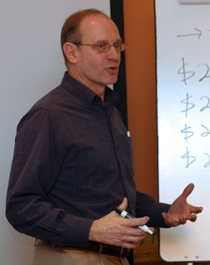 Don is very committed to education in his personal life but also as a means to customer satisfaction. He has been conducting real estate seminars since 2004. For more seminar dates, contact Don.